Memorial Day may very well be the most important, significant holidays celebrated within the United States, and it is definitely one of the most underrated. When we think of Memorial Day, most of us envision the beginning of Summer, an awesome movie opening in theaters, great sports on TV, and most importantly… a three day weekend! But it’s more than that—much more. A memorial exists to preserve a memory, and that memory is why Memorial Day is so important, as well as the least “Hallmark-inspired” holiday of them all. Observed on the last Monday of the month of May, Memorial Day was originally established shortly after the American Civil war to honor both the Union and Confederate troupes who died as a result of that tragic war. After World War I, the memorial was expanded to honor all Americans who had died in any war. This is not a holiday about gifts, or candy, or food, it is a day set aside to honor those who have died for us and our country. Regardless of where we stand politically, or how we feel about those who run our military, this day honors those soldiers actually on the front line. Those who are fighting. Those who most deserve our respect. A century ago, closer to the holiday’s beginning, the day was marked as an occasion of memory, when families would visit the graves of their relatives who had died in war. As time passed, however, the holiday evolved to include everything it is now devoted to, such as family get-togethers and day-trips to the beach. Now I may seem as if I am criticizing this type of celebrating. On the contrary—if anything, Memorial Day should be an occasion when we as Americans do everything we enjoy most about the American way of life. Why? Because our way of life, what it means to be American, is precisely what these brave men and women died for. These soldiers died so their families and countrymen would be safe. So they could enjoy mom’s apple pie, and be free to play basketball with dad out on the driveway. I do not mean to speak for them, but I firmly believe these soldiers would want us to memorialize their deaths by celebrating and taking part in the way of life they chose to risk their lives defending. So on memorial day, enjoy yourself with your family and remember those who gave their lives so you and your families would be free. 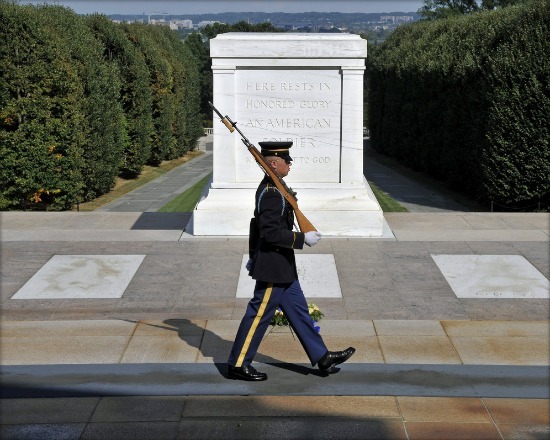 It was originally known as “Decoration Day” as the original tradition was to decorate soldiers’ tombs on this day. Today, there are many people and groups who continue this tradition. The name “Memorial Day” was first used in 1882, but it did not become popular until after World War II. It was not until 1967 that the name actually became official. The holiday was originally celebrated on May 30th of every year. It was celebrated nationally for the first time on May 30, 1868. The date was specifically chosen, because it did not fall on the anniversary of any particular American battle. A “Moment of Remembrance” takes place nationwide every Memorial Day at 3pm local time. The date wasn’t changed to “the last Monday of May” until 1968, when the Federal Government passed the Uniform Holidays Bill. The law came into effect in 1971. The date was changed along with Veterans Day, as well as the celebration of President Washington’s birthday, in order to create several three-day weekends. The changing of the date remains a controversy to this very day as some believe it undermined the importance of the day, and encouraged the modern observance of the holiday as a day of leisure. The oldest, continuously running Memorial Day parade takes place every year in Ironton, Ohio. It has run since 1869. Personally, my celebration of choice for Memorial Day is a good, old-fashioned American barbecue. Now sure, barbecuing is a practice done world wide, including Australia, “Put a shrimp on the Barbie, mate.” That said, the word “barbecue” most likely originated from the Taino people of the Caribbean and Timucua people of Florida, who both used the word “barabicu”. So “barbecuing” started in the Americas. And at the end of the day, let’s face it, no one embraces the sheer spectacle of barbecuing the way Americans do. In the United States deep south, pork is the most common meat of choice for barbecuing. 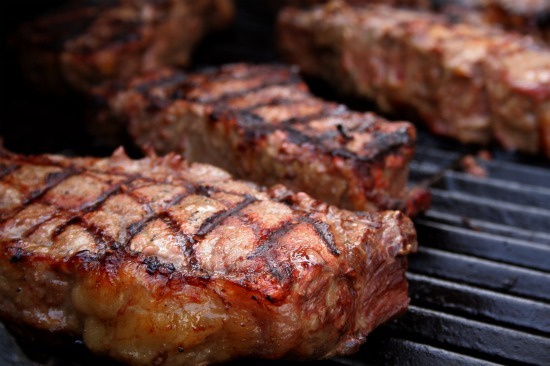 In the American south-west, beef if the most common meat of choice for barbecues. The American tradition of gathering outdoors and celebrating barbecue cooking as a feast likely originated in the deep south around the time of the American Civil War. Poverty was rampant and it was considered a reason to celebrate when a wild pig was killed and provided to the community. The largest pork-focused barbecue competition in the world takes place every year in Memphis, Tennessee. The absolute largest barbecue competition world-wide takes place annually in Kansas City, Missouri. Not to be overshadowed, the sauce involved in barbecuing is easily as important as the meat (if not more so). Sauces vary widely by region and can change drastically as one moves across a state as small as even North Carolina. The American Royal Barbecue Contest – This is the largest barbecue competition in the world. The World Championship Barbecue Cooking Contest – The world’s largest pork barbecue competition. Bill Wight’s Famous BBQ FAQ – A wealth of knowledge about the art of barbecuing. Barbecue – A History – Steven Raichlen’s expert lecture on the history and art of barbecuing. Barbecue’n On the Internet – Another great, online resource for barbecuing. Barbecue Recipes and Grilling – About.com’s resource for barbecuing and grilling. The Greatest Place in the World for Barbecue – Without doubt, inarguably the greatest place in the world to enjoy barbecue. Should You Sell Your Own Products to Make Money From Your Blog?